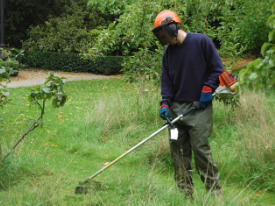 Embrace the opportunity to maintain your garden in an excellent condition all year round. 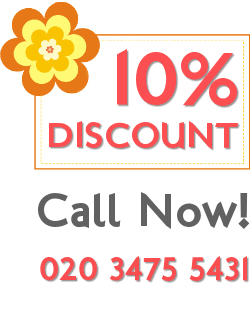 What we offer is a professional gardening services package and the Kingsbury, NW9 residents are more than welcome to contact us, inquire any additional information and book the procedure that will completely change the way their garden looks like. Our gardening experts are experienced and knowledgeable enough but if you want to make sure that the results achieved are exactly what you have expected, they wouldn’t mind working under your directions. Hurry up and get in touch with our friendly call centre supporters. You can rely on their assistance. Q: How frequently should I organize a basic tidy up of my garden? A: The basic tidy up of the garden is really important for the general look of your garden. Its proper maintenance is a must if you would like to have it properly trimmed and well organized, so it has to be done at least once per month. Yet, it really depends on the different kinds of plants that you have there and how quickly they grow. If they need special care and attention, you may organize it on a fortnightly bases. Q: What does the basic gardening service involve? A: The basic gardening means a general tidy up of your garden. A professional gardener will attend and trim the hedges, prune the trees, collect the leaves, moan the lawn, clean the flowerbeds and collect the leaves. The whole garden will be clean and tidy and put in order. According to the garden's size and condition this can be done once a month or on a regular bases, for example every week. In the contemporary world, people find less and less time to have everything under their own control. And it is hard to find time to spend in the garden – but you cannot agree – there is nothing uglier that a ragged hedge in the garden. 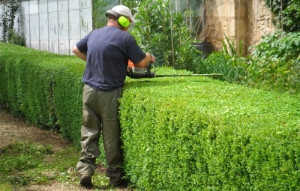 Our gardening company knows you are busy and this is why you haven’t trimmed it yet, and for this reason we are offering you hedge trimming in Kingsbury, NW9, London. You know hedge trimming is not only cutting branches, but fine art! Sink into our services and enjoy the results achieved by professional gardeners! You are dreaming of a neat and colourful garden with fresh green grass and perfectly trimmed plants? But your problem is you don’t have free time to deal with this time-consuming and dirty work yourself? Our team is ready to give you a professional hand and turn your favourite garden into a fascinating landscape. We are a company of rich experience and knowledge in gardening service so we know just how to maintain any garden. We have operated in Kingsbury, NW9 and other adjacent London areas for a long time and made many clients happy and pleased with the new look of their nice gardens.